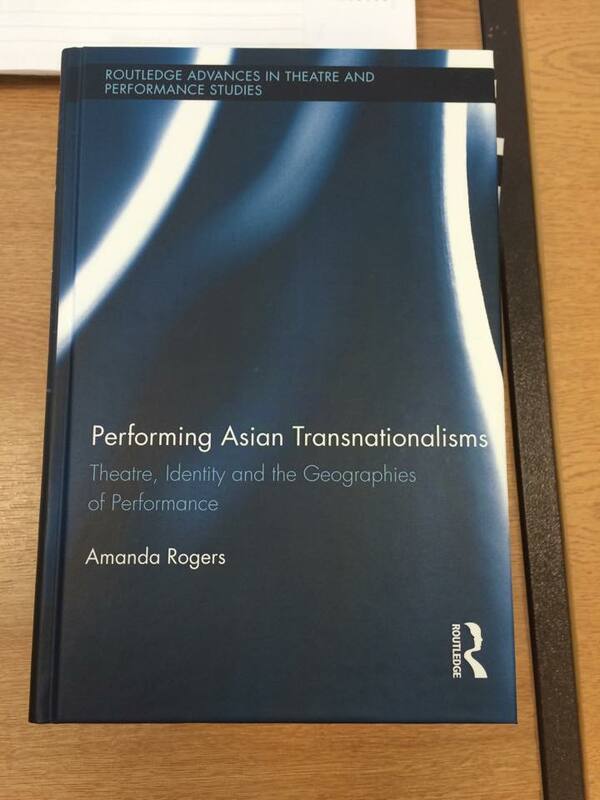 Yesterday I received my free copies of my book Performing Asian Transnationalisms: Theatre, identity and the geographies of performance. It’s been out since the end of September but I didn’t quite believe it until I got it in my hands. I did several jumps around the staff room, little dances in other people’s offices, and thrust it into the face of everyone I met, including physical geographers. My colleagues are very understanding. I could have been asked to do anything and I’d have said yes, but thankfully I was only asked to do a seminar on it by our HOD. I’ve been avoiding that ritual for new staff for 2 years, but he got me in a moment of excitement. So here it is… a geography book written in a theatre studies series. I think it will generate quite distinct reactions because it’s hard to work in an interdisciplinary vein – it is probably not enough of one disciplinary approach or another – but I have tried to forge something different. Ta-da!